– mad genius easily distractible teenage genius polymath! – awesome male-male friendship built on absolute loyalty and secret handshakes! – conflict of interests between family and friends, portrayed with sense and with real affection. – An unresolved love triangle that never gets resolved because everyone has better things to do. – Secret societies that meet in the catacombs! – Michelangelo in red and purple! – Random inexplicable Italian phrases! This entry was posted in Popular Culture and tagged cbbc, leonardo, tv. Bookmark the permalink. Pingback: Linkblogging For 04/09/11 « Sci-Ence! Justice Leak! You’re forgetting one crucial thing though: The modern music, with Mumford and Sons in the background the show is even more awesome! Mac/Leo is my secondary ship, it’s OK! So yeah I watched the last episode of the series and it kinda made me wonder….why does Lorenzo still think his father is a good guy when he basicly tried to shoot his 15 year old best friend in they eye! Hey great blog! Make me smile! But I’m a big Leo/Lisa supporter! Mainly cause the two are going out in real life…. Because I’m hopelessly forgetful I should mention that the second series has started, and we’re currently about 6 episodes in. 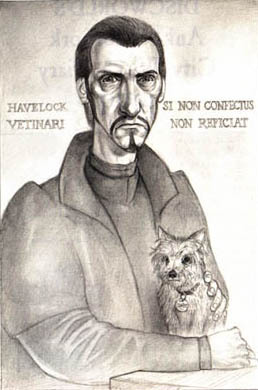 Its still just as charming, but Alistair McGowan has been replaced with someone who can’t quite channel Vetinari. Which is a shame. Thanks Dave! I am watching it on iPlayer, now. Yay! Ugh, Taylor, I wish I could help. I even went to look at the episode, and I got the lyrics, but googling proved no help. The episode has no credits for the music used, booo. Thank you for commenting, though! Now if only I could find a way of getting hold of the second season. Can you post the lyrics? I’ve been looking for a mid-tempo rock song sung by a soft male voice (something like the frontman of the band Ash). Tambourine is used throughout the whole song. I’m not sure if it’s featured in episode 8. It’s used close to the end of an episode. I’ve been looking for it for months but to no avail. Thanks for your help. I find this show shoddily inaccurate, however it intrigues me. I take it more as a perspective, a blurred story of historical occurences or a fantasy. The show reminds me somewhat of “Horrible Histories”: formally a book collection, now an award winning children’s television show. They both include a rather modern day twist, however “Horrible Histories” tend to emphasize this more. From a child’s point of view, more so for the younger target audience, it introduces sexism, feminism, class, rank, the importance of art in that time period, loopholes and risks. It may not give historical accuracy and precision, but for children, the main facts it highlights will be inputted into their memory. Who did what. The vital elements are there. In my opinion, “Leonardo” is oddly touching, showing the key elements of Da Vinci, and. Moulding them into an alternate story, and how, in reality just how little we know despite what we guess about who did what.